Yesterday I wrote about Scott Marshall's book Restless Pilgrim to help lay the groundwork for this interview with the author himself. EN: How long have you been writing? EN: And how did you get your start? SM: Pretty much through Mick & Laurie McCuistion of the now-defunct Dylan magazine On the Tracks. They published interviews I conducted for my book, as well as an article or two (Have no idea where they’re at now; I’d love to write them a thank you letter for all their support). And then there were all those hard-core Dylan guys in England at The Bridge, Isis, and Judas!—Mike Wyvill, John Wraith, Derek Barker, and Andrew Muir, respectively. They also granted me the opportunity to have some interviews and articles make the rounds. EN: Who have been your influences as a writer? SM: Haven’t consciously followed anyone’s style, and I view myself more as an aspiring writer. My strengths lie in digging up Lord-knows-what and landing some great interviews. As for enjoying certain writers, I’ll say the late Neil Postman and Christopher Hitchens are hard to beat. And Stanley Crouch captivated me after watching a 3-hour interview he did for BookTV (on C-SPAN 2). I have most of Crouch’s books, but find myself reaching for the dictionary rather regularly and haven’t been faithful to the finish line. Lastly, for all the vitriol reserved for Fox News Channel (either full-out vitriol or blind praise, it seems), there’s this guy Eric Burns who used to host their show Fox News Watch; he’s written a number of solid and fascinating books. A great journalist and writer. EN: How did you come to take an interest in the music and career of Bob Dylan? SM: In my hometown of Gainesville, Florida, an old buddy Alec Lauriault was playing one of his mom’s records (incidentally, Gainesville’s home to Tom Petty; he was at Gainesville High about 16 years before we went there). I was 19 at the time—this would’ve been 1986—and it happened to be Dylan’s first greatest hits compilation that I heard. I was truly taken aback, struck by the words I was hearing, how they were coming across, the bite, the wit, the mystery. I remember one writer, it might’ve been Michael Gray, who said he envied anyone who was just getting their feet wet with Dylan’s musical canon. It’s hard to argue with that sentiment. So, anyway, soon all of Dylan’s official albums were residing in my barn loft apartment in north Florida. (Some bootlegs, too, but not too many.) By the mid to late-1990s, I was on the prowl for Dylan books and Dylan fanzines. If magazines or newspapers had Dylan content, I was interested. A print obsession emerged. EN: Your book seems to fill a gap in the catalog of Dylan biographies. Are there other authors who have written about Dylan from this angle? SM: Don’t know if I filled a gap, but it sure felt like it at the time. Stephen Pickering (Chofetz Chaim Ben-Avraham) was there first, with a number of books on Dylan in the early to mid-1970s (“there first” in the sense of writing about Dylan’s religious or spiritual leanings). This guy is as persistent as the day is long, and is in the deep end of some kind of pool that not too many people are swimming in. Although Pickering has little to no regard for Dylan authors like Bert Cartwright, Don Williams, Ronnie Keohane, and Jenny Ledeen, these were the folks who, in their own ways, mainly self-published on Dylan’s seemingly fated obsession with the Almighty. And since my book was published in 2002, there have been quite a few folks who’ve thrown their hats in the ring, including Christopher Ricks; Michael Gilmour; Stephen Webb; Steven Heine; Seth Rogovoy; and A.T. Bradford. Last I heard, Ron Rosenbaum was working on a Dylan book (looking forward to that one). By the late 1990s, if there was a shortage of Dylan books that contended with the man’s metaphysical meanderings, there is no shortage now. SM: My co-author Marcia Ford actually wrote that (She wrote the introduction.). Since it was my book, I should take responsibility for it…but, over 12 years on, I’m just going to say I wouldn’t write that. That line might seem true to some, but I’d be interested in how one defines “prophet.” I have no doubts that Dylan has a deep respect for the biblical prophets, from the Hebrew Bible to the New Testament. His written words, his singing voice, and even his interview voice have echoed the ideas, words, and tone of those prophets. 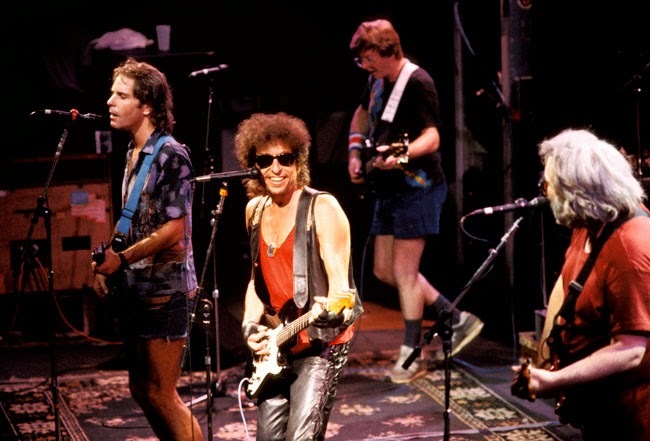 It’s been quoted a lot, but one of Bob Dylan’s most revealing moments took place in the Midwest, in the winter of 1980, smack dab in the middle of the Gospel Tours. 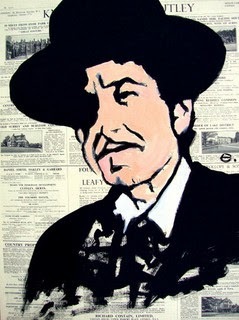 A 38-year-old Dylan said this to a crowd in Omaha, Nebraska: “Years ago they used to say I was a prophet. I’d say, ‘No, I’m not a prophet.’ They’d say, ‘Yes, you are a prophet.’ ‘No, it’s not me.’ They used to convince me I was a prophet. Now I come out and say, ‘Jesus is the answer.’ [And now] they say, ‘Bob Dylan? He’s no prophet.’ They just can’t handle that.” I think that quote right there, besides being fertile ground for some kind of Ph.D, sums up the whole Dylan prophet thing. EN: What were the biggest surprises you found in your research for this book? about the “prophet” label.) Of course, Jerry Wexler, who didn’t shy away from proclaiming himself a “Jewish atheist,” produced both Slow Train Coming and Saved. 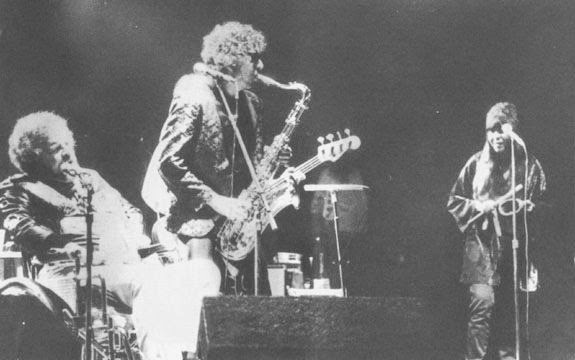 And in 1981, while Dylan was still singing songs from these albums he invited his boyhood friend Larry Kegan on a tour (Dylan played sax and Kegan covered Chuck Berry!) So, during the research I discovered it’s not really true that Dylan was this foaming-at-the-mouth, intolerant character who was abandoning his Jewish roots. He was connecting those roots to Jesus at the end of the line, which is simply unacceptable to the vast majority of Jewish circles. I’d be willing to bet the price he paid was substantial. God only knows the fallout from very close family members and friends, but, in the words of Ron Wood, he “wasn’t to be tampered with” in this season. If you were a Dylan fan between 1979 and 1981, Jew or Gentile, he definitely was singing and speaking in very personal terms. EN: What kind of feedback have you received since publishing Restless Pilgrim? SM: Had a handful of complete strangers contact me to share how much they appreciated the book. That was nice. I can think of a few reviewers that were not thrilled, including a Christian magazine, a Dylan fanzine, and an amazon.com review. My favorite negative review, though, occurred in person at a book signing at a Barnes & Noble in Greenville, South Carolina. I was approached (accosted?) by a student at Bob Jones University (a fundamentalist Bible college right there in Greenville) who took umbrage with the book. As I recall, he had not read it, but who can be bothered by such details? I would pay now for a transcript of our exchange. Even though I don’t recall the details, I know he was clearly disturbed by me and/or the idea of the book. I can’t avoid the temptation of thinking it had something to do with rock & roll and the Evil One. However, my favorite moment, by far, took place at a book signing at a Books-A-Million in Anderson, South Carolina. A white kid and a black kid, probably in their early teens, arrived via skateboards. They gazed at the poster next to me that announced the book signing. They then looked at me, and simply asked if I’d sign their skateboards. I’m confident they did not know who Bob Dylan was (and they certainly had never heard of me). It was hilarious and humbling. Why? Because there was one book signing in Athens, Georgia, where the only folks who bothered to show up were my wife (she came with me) and my cousin who lived in Athens at the time. EN: What role did your co-author play? Editor, researcher, collaborator? SM: Besides writing the introduction to the book, she basically served as an editor. My manuscript was mammoth and detail-oriented to a fault, much more ready for a Dylan fanzine crowd than it was for a mass audience. She helped in the pruning process to make it more mass-friendly. It was a painful process as she reminded me that I needed to choose the best line or paragraph from any one interviewee (in terms of employing quotations) since we had the space limitations of a relatively slim paperback. It was brutal because of the 75 or so people I interviewed, only about half made it into the book. No one was quoted at length. With that said, in the very beginning she let the publisher know that what she had encountered with my manuscript was something unique. That helped green light the project because she had experience in the book business; magazines, and newspapers. To sum up, I did all the research, all the interviews, and the original manuscript between early 1999 and spring 2002; she came in at the end, in the last few months, and performed some heavy-duty editing. 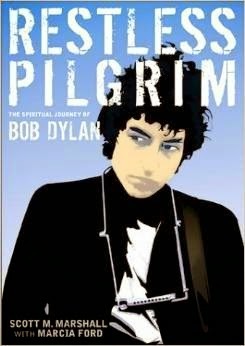 Scott, I've been waiting for your follow up - Bob Dylan, A Spiritual Life. This was announced and scheduled for publication years ago. Can I ask what happened? Will this ever come out? I loved your first book. Thanks for the kind words, Bob. As for the forthcoming book, it's been a long, strange trip of hard work, exciting moments/seasons, near misses, rejections, and delays (both within and outside of my control). 2016 has been mentioned, but I'm not placing any bets. It's a huge book in more than way, I think (and, of course, no bias here). I trust the manuscript will get in the right hands & before the right eyes at its appointed season. It WILL be out someday, but I've just given up predicting or pretending to know. The manuscript is basically completed, though. Scott M.